High-speed Ethernet demos from Arista, Cisco, Juniper, Intel, Huawei and others portend a strong, looming 400G Ethernet future. High-speed Ethernet is taking center stage this week at the European Conference on Optical Communication in Rome where several vendors, including Arista, Cisco and Huawei, are showing off gear that will power large-enterprise and hyperscale networks. The key demos come from the Ethernet Alliance and the 100G Lambda multi-source agreement (MSA) group, which are pushing technology advances needed to support 400G Ethernet, including new pulse amplitude modulation or PAM4 for electrical and optical interfaces, high-bandwidth switching silicon, and a new high-density pluggable connector system known as QSFP-DD. According to the Ethernet Alliance, its demo encompasses one of the widest lineups of 400G optics seen to date, featuring state-of-the-art PAM4 optical gear and electronics. Among key elements in the group’s display are routers, switches, Active Optical Cables (AOCs) and Direct Attach Cables (DACs), interconnects, and test and measurement equipment. The organization’s display spotlights multiple PAM4-based Ethernet optics, including 50G, 100bE, 200G, and 400G spanning distances of 100m to 40km, and various form factors such as CFP8, OSFP, QSFP28, and QSF-DD. 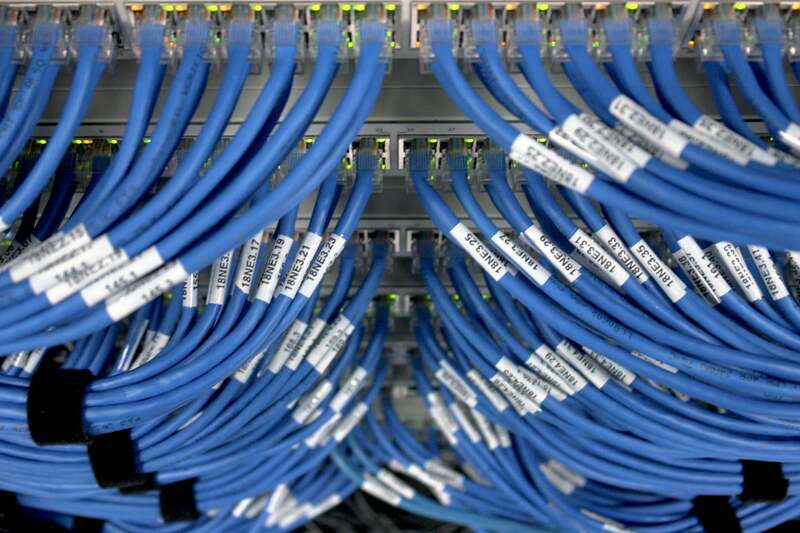 “Ethernet is going farther and faster than at any point previously in its 45-year history. There are so many exciting things happening, like the progress being made in PAM4 technologies,” said John D’Ambrosia, chairman of the Ethernet Alliance, in a statement. According to a Cisco blog post written by Mark Nowell, the MSA is running an interoperability demonstration of 100G and 400G optics all based on 100G per wavelength optical technology. The optical modules from a number of optical module vendors are available in QSFP28 and QSFP-DD form factors. The ECOC demonstration included Cisco Nexus 32-port 100G and 400G 1RU switches populated with various modules plugged in and interoperating with traffic flowing, Nowell wrote. Nowell said the IEEE came to a consensus to develop 400G Ethernet technology in 2012, and ever since, demand for bandwidth has never slowed due to use cases such as cloud networking. Cisco cites research from its Global Cloud Index as evidence for the need for more bandwidth to handle global data center and cloud-based IP traffic. Hyperscale data centers will grow from 338 in number at the end of 2016 to 628 by 2021. They will represent 53 percent of all installed data-center servers by 2021. Traffic within hyperscale data centers will quadruple by 2021. Hyperscale data centers already account for 39 percent of total traffic within all data centers and will account for 55 percent by 2021. Annual global data-center IP traffic will reach 20.6 Zettabytes (ZB) (1.7 ZB per month) by the end of 2021, up from 6.8 ZB per year (568 exabytes (EB) per month) in 2016. Global data-center IP traffic will grow three-fold over the next five years. Overall, data center IP traffic will grow at a Compound Annual Growth Rate (CAGR) of 25 percent from 2016 to 2021. The European demos follow a successful high-speed Ethernet Plugfest held in August at the University of New Hampshire InterOperability Laboratory (UNH-IOL) which tested all manner of 400G, 100G, 50G, 25G, and NRZ and PAM4-based interfaces and signaling gear. The Ethernet Alliance event included Arista, Cisco, Juniper, Intel, and others. “With recent standards development in speeds of 50G to 400G propelling innovation across the Ethernet ecosystem, we’re seeing a multitude of new technologies being readied for market. Interoperability remains vital to Ethernet’s success and longevity, so it’s incumbent upon the industry to take advantage of the chance to test their solutions prior to launch,” D’Ambrosia said. This month UNH-IOL also announced an Ethernet testing service that covers the new IEEE 802.3bs and the new IEEE 802.3cd specification for 50, 100, 200 and 400G Ethernet. The new services are for electrical and optical conformance testing of 50, 100, 200, and 400G Ethernet specifications, with plans to offer interoperability testing as new higher-speed Ethernet products enter into development. Cloud service providers are looking to higher efficiency and density Ethernet offers as they build out massive cloud-scale data centers, while the surge in mobile connectivity has telecoms pursuing faster Ethernet services, the Alliance stated. Bandwidth demand continues to grow at data centers that service high-bandwidth, rich-media applications, such as video streaming, online gaming, and digital marketing. This variety of activities is only part of a wave of high-speed Ethernet developments. A Dell’Oro report earlier this year said 400G is forecast to comprise 20% of data-center switching revenue by 2020. Higher speeds – 100G, 200G, 400G, and 800G – are forecast to drive significant growth over the next five years. The company said it will integrate 400G technology across its PTX, QFX data-center, and MX routing families for a wide range of use cases, including backbone, peering, data-center interconnect, scale-out metro core, telco-cloud services, and hyperscale data-center IP fabrics, all of which demand high bandwidth, low latency, and security. This story, "400G Ethernet demos, plugfest tout hyperscale network power" was originally published by Network World.